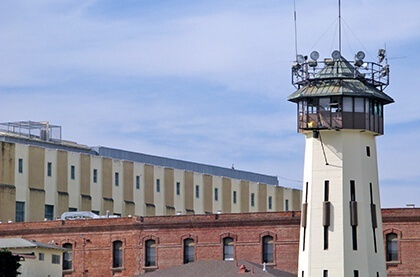 Whether it’s a municipal, state, or federal correctional facility, providing a secure environment for inmates, staff, and the public is a top priority for correctional facility administrators. Establishing proven operational procedures, including prison or jail key control, is a critical step to help ensure physical security. 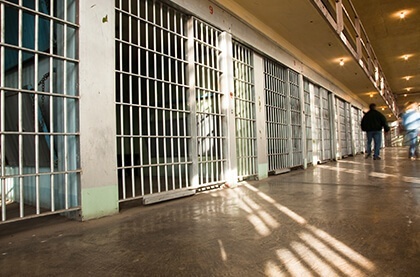 For correctional facilities and detention centers, another way to enhance safety and security is through the use of automated guard tour systems. Key management solutions offer access control and accountability by providing jail key storage and tracking. Guards and authorized users have access to specific jail key cabinets only as approved by the system administrator. For example, day shift personnel are not able to access cell keys outside of their regularly scheduled working hours, and they do not have access to keys to unauthorized pharmacy or medical areas. Keys must be returned to the KeyWatcher electronic key cabinet and can never be exchanged between personnel, as the system will notate that a key was not returned or returned by another user. New technology has also allowed multiple prison keys to be stored on a single key ring. Tamper-proof locking mechanisms and unique identification systems offer the flexibility to add or remove prison keys without destroying the key ring. The tamper-proof key rings can also be conveniently stored in key control and management systems for access by authorized users with their assigned pass codes. Storage locker cabinets operate under the same premise as the key storage systems. Available in various sizes and configurations, they are becoming more common in correctional institutions as a method for securing, controlling, and tracking valuable items such as weapons, notebook-type computers, cell phones, and more. PowerCheck guard tour systems help ensure that correctional officers are making the rounds and provide backup documentation. In addition to acting as an automated supervisor, the guard tour system allows management to better monitor the security officer’s performance and help prevent costly losses. Handheld data recorders allow security personnel to input incident codes while on tour using a built-in keypad and display. Paperwork can be eliminated with programmable incident codes that can be downloaded to a computer. While on rounds, security officers can also use these handheld devices to check into key stations located throughout the facility. Touring systems can offer even more productivity benefits when reporting software is used. And because the information can be custom organized, management can more readily identify infractions and take the necessary action to resolve the situation. We keep making key management better for correctional facilities. It’s all part of our outside the box thinking – that you’ll find right inside the box. Case Study: Security Checks at Monmouth Detention Center with Guard Tour System – read more. Case Study: Lubbock County Detention Center Utilizes Key Control Systems – read more.